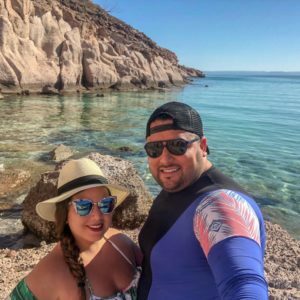 When Hubby and I started planning our trip to Cabos to celebrate his birthday, we knew we wanted to do something unique and explore outside of the Cabos area. 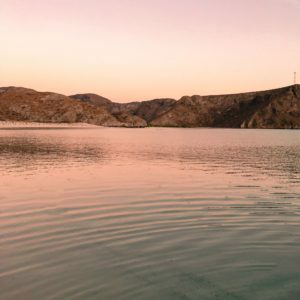 While looking for things to do we came across some beautiful places like Playa Balandra and Espiritu Santo. 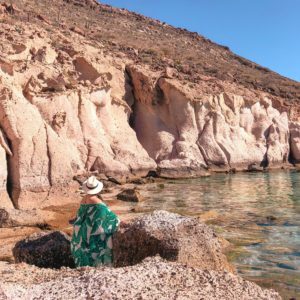 Exploring these destinations from Cabos can get lengthy, and I believe the key to making this trip on the same day is picking the right company and start early. 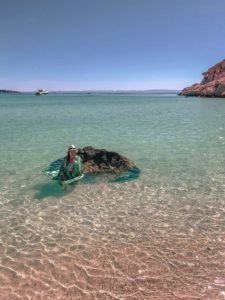 Ideally, we would recommend spending a night or two in La Paz, which is a beautiful destination of its own with authentic Mexican cuisine and colorful streets and this what we plan to do next time that we come back. 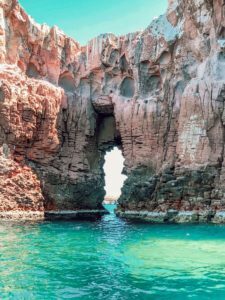 On this trip we decided to take the day trip to La Paz; if you choose to adventure in one day like we did keep in mind that La Paz is 2 hours away by car from Los Cabos. 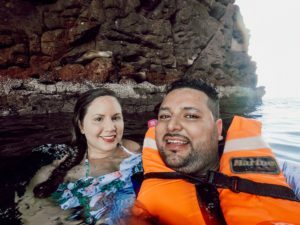 Companies like Sunrider Adventures have lovely tours that include transportation from Cabos; this is a great alternative and what we think will make your day trip successful and remarkable. 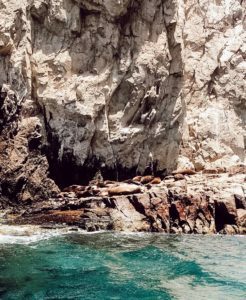 After arriving in La Paz, a boat ride of an hour or so took us to our first stop in Espiritu Santo, Los Islotes, where we snorkeled in the beautiful reef and where able to swim right next to many Sea Lions. It is such a beautiful and memorable experience. Our second part of the day was spent lounging on the pristine beach at Ensenada Grande, one of the most crystal clear waters we have seen in Mexico, it is a secluded beach, so no facilities or vendors are in this island. If you like to enjoy some quiet and relaxing time by the beach, this is the place to be. 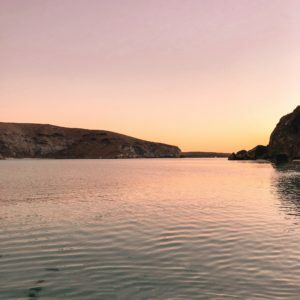 Before making our way back to Cabos, we were able to watch the Sunset in Playa Balandra, considered one of the most beautiful beaches in Mexico and a local favorite. And we can understand why; very shallow, crystal clear and warm waters, this beach is a paradise and accessible by car. We can’t wait to come back and spend more time in Playa Balandra. 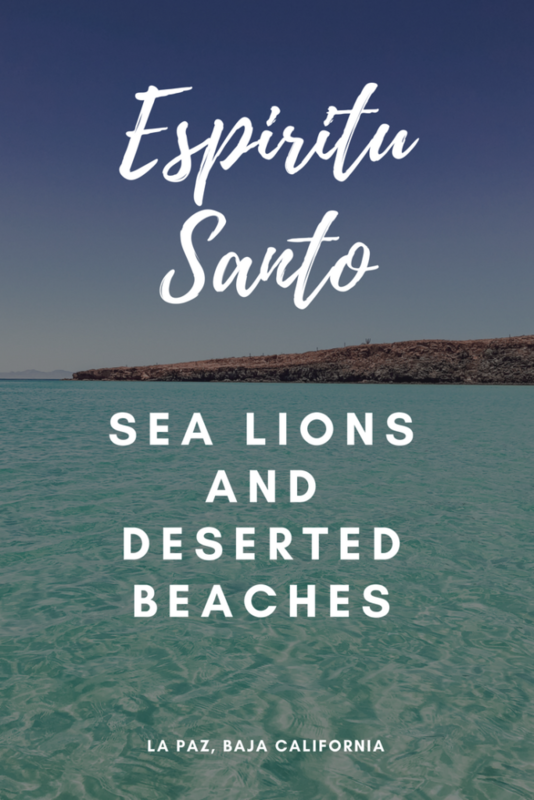 Although we recommend to stay overnight in La Paz or hiring well know companies like Sun Riders, it is possible to visit Espiritu Santo on your own and making the trip in one day. Renting a car would be to best transportation option, and once in La Paz, at the marina, you can find small boats for hire that visit Los Islotes and Ensenada Grande. Have a light breakfast but don’t skip it, it is a long day. Take enough drinking water and snacks – it is desert climate, the island is inhabited, and there are no vendors, most boats will provide snacks and water, but we recommend taking your own. Sea Sickness medicine – you will spend most of the day on the water, taking a Dramamine the night before and in the morning will help you avoid seasickness. Sunblock Reef Friendly – to snorkel and swim with the sea lions, biodegradable sunblock is a must. Most important of all be a conscious traveler, enjoy nature but do not destroy it. Never leave trash behind. Are you planning a trip to La Paz or Los Cabos? If you have any questions, feel free to ask me in the comments section. 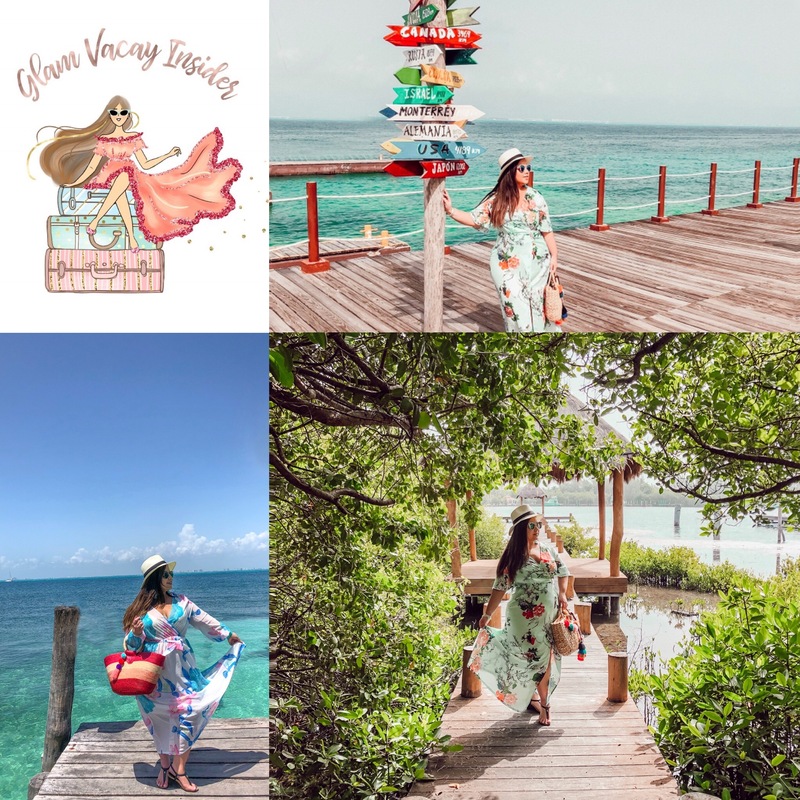 Need some travel, fashion or beauty inspiration in your life? Subscribe to my newsletter to get a dose of chic straight to your inbox.